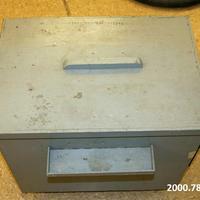 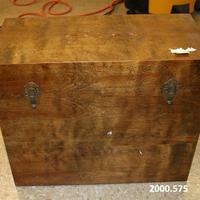 Gray wood box with metal plating chemicals inside. 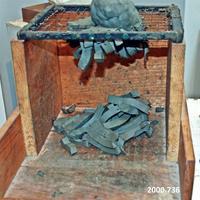 Box with clay and wire mesh cutter for reconstituting clay and cutting the clay into small uniform pieces. 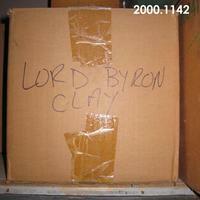 Cardboard box with clay used for The Poet: Lord Byron.